Sublime Travel is the inspiration of Carin G. Aichele: travel author, photographer and adventurer. 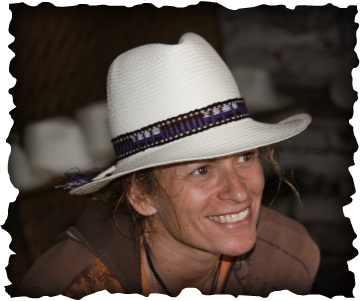 Carin has traveled throughout the world, successfully initiated and managed a small architecture firm specializing in CA public schools, has whitewater kayaked while listening to howler monkeys in Central America, has traveled throughout New Zealand in an RV shifting gears with her left hand while driving on the "wrong" side of the road, has traveled Europe both on a budget and off, has been up close with koalas in the Australian outback, caught waves on Bondi Beach, has witnessed the majesty of the underwater world while scuba diving, proficiently snowboards, plays competitive tennis, and currently races mountain bikes. I invite you to join me on my RV travel journey throughout the United States and Canada.